Looking after your lawn and making it look great all year round don’t have to be impossible tasks. If you take advantage of a few simple tips, you’ll be able to achieve it without doing anything particularly complicated. Read on to learn more about five of the best tips that will help you do exactly that. It’s very important to use good weed killers and fertilizers when it comes to taking care of your lawn. Using one but not both is not good enough. They do different things, and they’re equally vital for a healthy lawn. Use weed killers in spring and early summer to stop the taking hold. If you don’t, by the end of summer, your lawn could be overrun by them. You can kick start the growth and vitality of your lawn in early spring by using a good fertilizer. Your lawn also needs to be properly aerated so that it can breathe throughout the year. Without the ability to do this, it won’t be healthy and won’t look green and thick. Oxygen is just as important as water and nutrients for your lawn. Remove small plugs of soil to allow oxygen greater access to it. This is the process of aerating the lawn, and it’s something that is very simple and straightforward to do. When summer is over is the best time of year to do this. 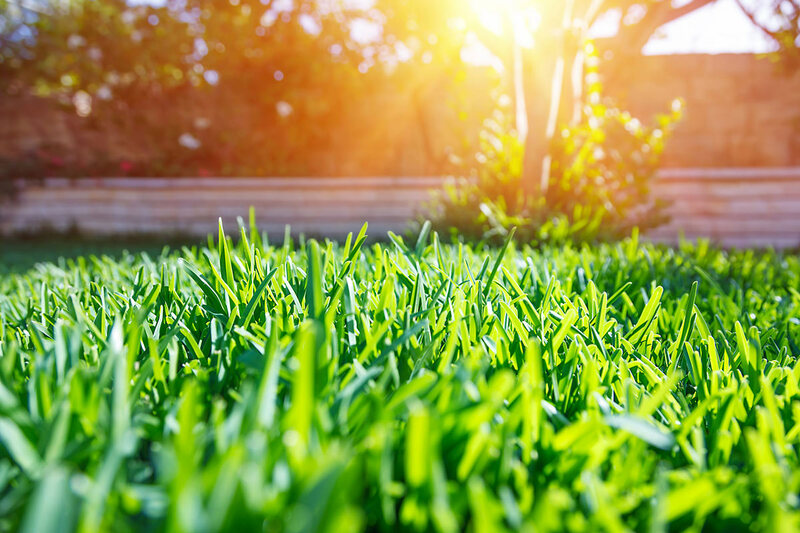 The height of your lawn’s blades is key. You should never cut off more than a third of the lawn’s lengthen when mowing it. This is the golden rule. If you do take off more than a third, your lawn will not have the life and vitality it needs in order to look great. Instead, it will start to look limp and lifeless. The blades should be longer in the summer and shorter during the winter months too. And when doing the mowing, make sure you use a sharp blade for the best results. Of course, no lawn can survive or thrive without the right amount of water. That’s just the way it is. You should try to use a deep watering method. This is when you water the grass heavily every few days. Doing this is much better for your lawn than giving it a light sprinkling of water each day. Regularity is key, but your lawn doesn’t need water each day as long as it is given plenty of water when it is watered. Another thing that will help you to look after your lawn and keep it looking great is the ability to spot problems. Fungal diseases can cause immense damage to your lawn. But being able to spot the problem quickly will enable you to take fast action. Brownouts, which are large circles in the lawn are signs of fungal disease. And lines of dead grass can signify an insect problem that needs addressing. Molly Davenport is the marketing specialist for Brookside Lawn Service, based in Medina, Ohio. Brookside Lawn Service offers lawn care services including fertilization, weed and pest control, and lawn renovation. For more information about Brookside Lawn Service visit www.brooksidelawnservice.com. Hi Stacy. Yes, we are still accepting articles from guest authors. Please email info@mountainpublishing.co.uk for more information. Thanks!